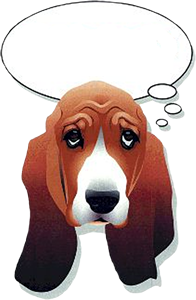 Basset Rescue of Old Dominion (BROOD) is a non-profit charitable organization established to place homeless, unwanted and/or mistreated basset hounds. Because the majority of these basset hounds come from county shelters, evaluation of their temperament and medical condition before placing them in permanent homes is essential. Foster homes are critical for this evaluation and for the completion of the BROOD mission. If you would like your home to be considered for fostering, please complete the form below and send it to us. Our foster recruiter will contact you to discuss your application and arrange for a volunteer to visit your house. Foster parents should have adequate medical, liability, and property insurance. BROOD no longer accepts foster applications from households with children 5 years old and younger. Note that all foster parents MUST be members of BROOD. If you are not a member of BROOD, please go to our Membership Application first before applying to become a foster home. If you have any questions, please contact our BEFORE you submit your application. If yes, what are the visiting children's ages? If you don't have a fenced yard, where and how will the dog be exercised and allowed to use the bathroom? Do you agree to keep the basset on a leash when outdoors? Under what name is your vet account listed? If yes, please list names, types and ages of all pets. If yes, please describe the medical condition. What would you do if your cat did not get along with a foster dog? If yes, from where? Please provide name, address, phone and contact name (if known). If you adopted from BROOD, when? What was the dog's name when with BROOD? Have you moved since you adopted from BROOD? No experience. I do not have a lot of experience, but am willing to attend training classes to learn more. Limited experience. I have experience training my own dog(s) to be housebroken and with basic commands, but have not attended obedience classes OR I have attended only a puppy socialization class. Experienced. I have housetrained multiple dogs and attended obedience classes, and feel comfortable with housetraining and provideing basic manners training for a new dog. Advanced experience. In addition to the above, I have successfully worked with a dog with a serious or chronic behavior problem such as separation anxiety, chronic barking, fearfulness or aggression. If yes, please list name, address, phone, email, contact person. Work with a health problem? Information about your pet’s microchip – essential to ensuring your pet can get home safe in the event they ever get lost. 24PetWatch Insurance options that can help protect your pet and your wallet. Special deals and discounts on products and services and partner product and services. All the information I have provided on this application is, to the best of my knowledge, true and complete. I understand that falsifying information on this application, or at any other time during the process, disqualifies me from fostering. With the electronic submission of this application form, I am authorizing BROOD to contact my veterinarian to discuss my veterinary records. AS REQUIRED BY THE CODE OF VIRGINIA, CHAPTER 787 3.1-796.96.C.3, I/WE ALSO CERTIFY THAT I/WE HAVE NEVER BEEN CONVICTED OF ANIMAL CRUELTY, NEGLECT OR ABANDONMENT.